The flowers around the Hardeveld are truly spectacular. 10 km north of Bitterfontein, straight of the N7 are the sign to Kersbos farm. 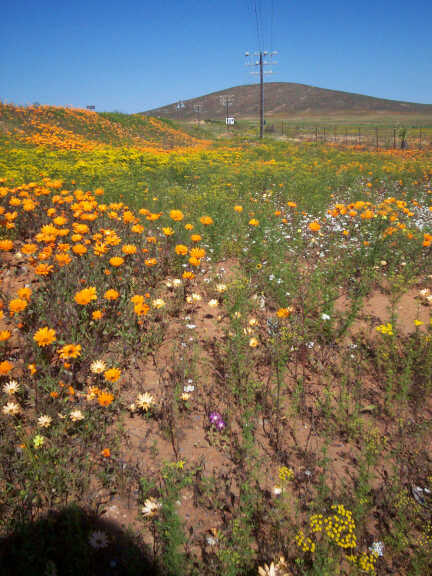 The farmer, Mr Kotze, has graciously given permission for people to drive into the farm, but has asked that people please gates again that they find closed and to please turn inside the road parameters - this might require you to make a 50 point turn, but that way the flowers are not damaged! 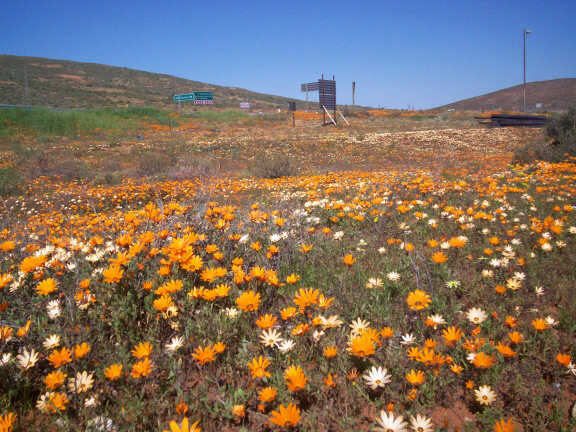 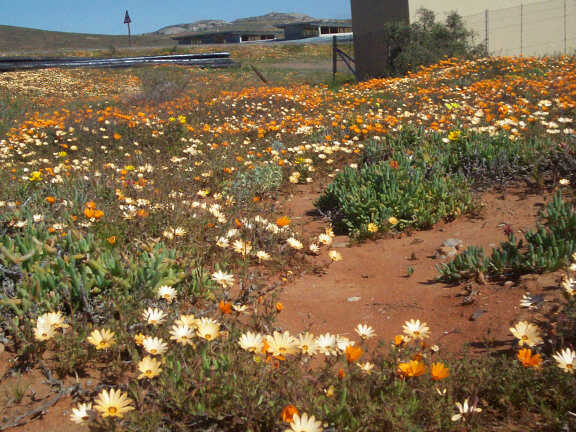 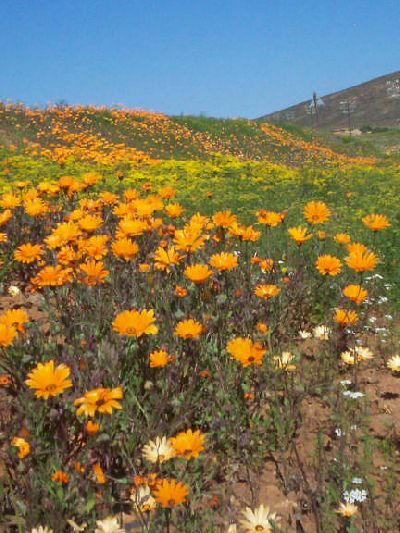 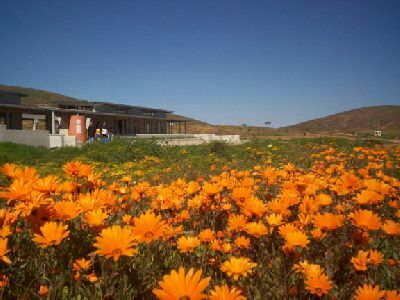 From about 10 kilometres south of Nuwerus, all the way along the N7, right up to Springbok, the flowers are beautiful. 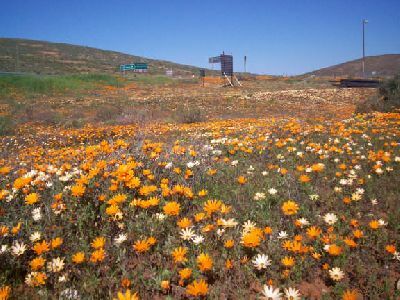 Near Bitterfontein, the Bitterfontein-Putsekloof-Rietpoort-Molsvlei-Stofkraal and back on the N7 route is even more packed with flowers than a week ago. If you are travelling from Cape Town, turn off at Vanrhynsdorp and drive Vredendal-Lutzville-Koekenaap and then after the Namaqua Sands Plant, take the first gravel road on your right signposted for Nuwerus; travel to Nuwerus and on to the N7 again. 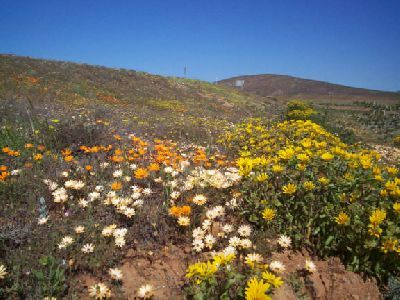 Along this road the dark red gazania and yellow perdebos are en masse. 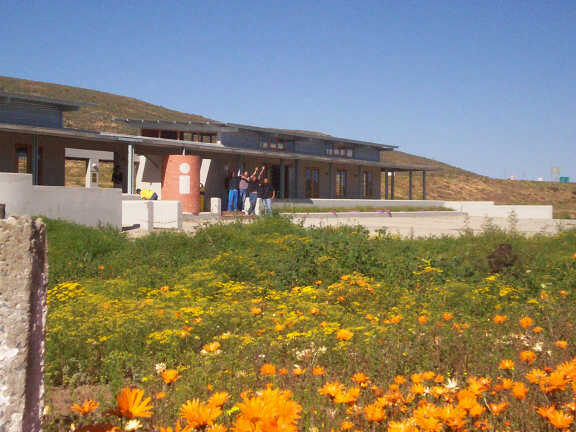 Keep your eyes peeled for the pair of martial eagles that nest just north of the Namaqua Sands Plant. 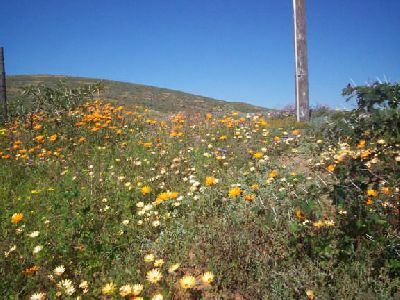 You are currently browsing the Flower report weblog archives for August, 2007.